Despite having taken an A-level in photography I'm never entirely happy with snaps that I take indoors. I can't quite seem to get the light or depth of field right, I've tried a still life photo box/canvas studio thing lent to me by a friend, however our lovely cottage isn't bathed in sunlight at any time of the day so mostly it's like diffusing candle light (okay not that bad but you can understand). I can also never find a clear surface, free from gubbins not to mention cats wanting in on the action . So the point I'm trying to make is that this isn't great for a blogger, I want my pics to be tip top and much of the crafting and making I do is indoorsey stuff thereby requiring indoor photography. Then I found Pixlr.com, I may well be the last to know about it but I love this website. No signing up with yet another e-mail/password combo that I will envitably forget, no adverts, no asking if want to share it with the masses, just simple photo editing. Perhaps too simple for some, but not for me, I use the express option (Advanced and Playful are also available) which is great for cropping out any undesirable surface/gubbins/cat fluff and adding an effect to jazz up and give depth to the images. Tonight I discovered it's photo collage capabilities. A little work is still needed (from me, I'm pretty sure it knows what it's doing) to get the photos just right but I'm quite happy with my first attempt. In related news Mr P and I are celebrating our 4th wedding anniversary this week so this photo collage shows how I made his card this year, I fancied a little paper craft. It features little handmade envelope's attached to a card and inside each one is one of my favourite memories from the last 4 years. 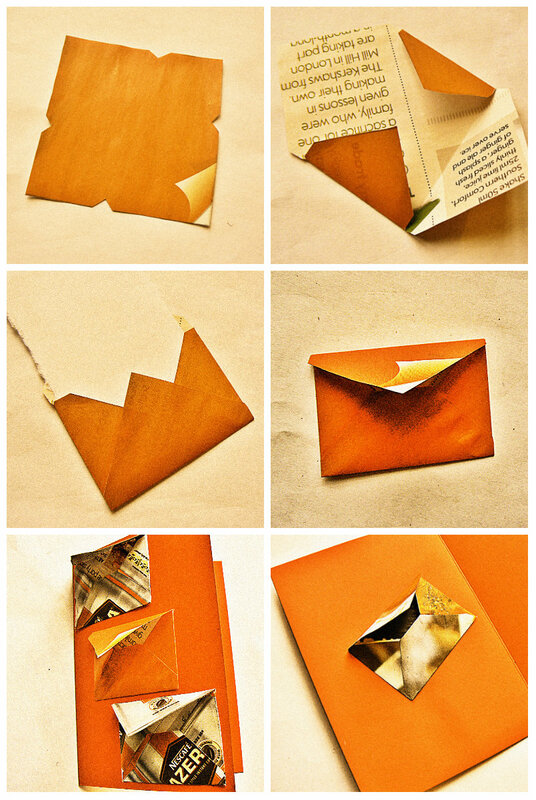 The envelopes are a scaled down version of one that can be found on the fab iMake.gg blog. Thank you Martine, I hope you don't mind. Hi Carrie - married four years! I can't believe that - where did the years go? I love the card for Mr P - there are a lot of lovely ideas on the iMake Blog - I think Martine must be a sort of Superwoman I don't know how she does it all. I will go and have a look at Pixlr - your photos look lovely on this site so it must be helping, I have been battling with my photography especially those taken of my life drawings. Cheers. Sorry for the delay knitnell (I've e-mailed you!). I once asked Martine how she manages to squeeze all that making in around a day job and she said she gets up early - well there goes that plan, I'm rubbish with mornings!